If you’re reading this, you are probably already aware of the incredible quality of the Honda brand of vehicles. Year after year, Honda cars, trucks, vans, and SUVs consistently bring home the award hardware. When it comes to getting a great deal, however, on the new Honda you want, the question can become more problematic. Can we make a recommendation? Check out all the amazing special offers we have on new Hondas at our Shelby, NC Honda dealership. Whether it’s a new Honda Accord or a Honda CR-V, you’ll find that Renaldo Honda always has a great selection to choose from with outstanding values. It doesn’t matter whether you’ve made the decision to lease or buy, you’ll be amazed at the numbers you’ll be presented with from our financial experts. Our on-site financing center will sit down with you and work the numbers over aggressively to achieve the best possible deal that suits your individual financial situation. We can even offer specialized loan solutions for those that may have struggled with credit issues in the past. Looking outside the new vehicle segment? Want to save money by going with a pre-owned vehicle? We’ve got you covered there, as well! 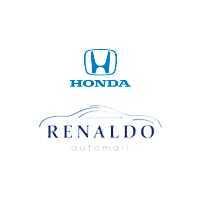 Renaldo Honda offers a great selection of used cars from practically every major manufacturer. We’re also a great source for Honda Certified Used Vehicles. If you want all the benefits of a new Honda model at significant cost savings, then Certified Used is a great option to explore. For bargain hunters, we also are proud to offer a specially priced group of used cars all under $10,000. These units are perfect for first time drivers or anyone else looking for quality transportation on a serious budget. For Kings Mountain, Shelby, and Gastonia, NC drivers looking for top-quality maintenance at great prices, you’ll be happy to know you’ll find both at Renaldo Honda. That’s because our highly experienced technicians provide outstanding work and our service discounts save you big money. We know that keeping up with timely maintenance on your car, truck, van, or SUV can tend to add up cost wise over time and that’s why we make sure to always offer maintenance discounts. It means you can save money on everything from oil changes and tire rotations to fluid refills and brake service. Why risk taking your car to a service center that could be using sub-standard parts and outdated diagnostic/repair equipment when you can bring it to Renaldo Honda in Shelby, NC?